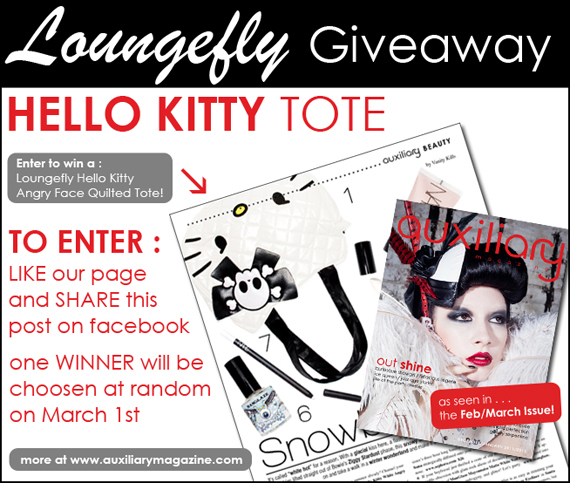 We are giving away a Loungefly Hello Kitty Angry Face Quilted Tote as seen in Auxiliary Magazine! The winner will be chosen at random from those who shared the Loungefly Giveaway photo on Auxiliary Magazine’s facebook page between February 23, 2012 to March 1, 2012 at 8am EST. 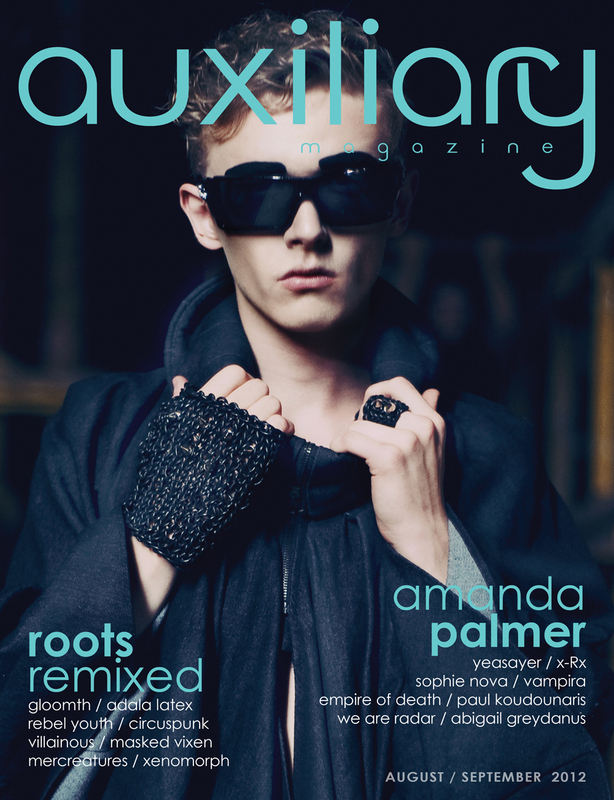 The winner must “like” Auxiliary Magazine on facebook at time of drawing. The winner will be contacted on March 1, 2012. Giveaway is for one Loungefly Hello Kitty Angry Face Quilted Tote. The tote will be delivered by mail with postage covered by Auxiliary Magazine 1-3 weeks after drawing. Is there some kind of 12 step program for this evil feline? SeriouslyI started with pajama’s (on sale) then a t-shirt-then a backpack AND THEN pencils, stationary and envelopes-shoes to match the shirt and some bath items blankets and posters!! !and its out of control I’M EVEN DOWNLOADING HELLO KITTY CARTOONS FROM YOU TUBE!! i am powereless over the kitty claws HELP!!! I swear, I would cry if I won this. It is so perfect.